The thematically deep OtherLife curiously prods us to reconsider our readiness to give ourselves an escape through technology. 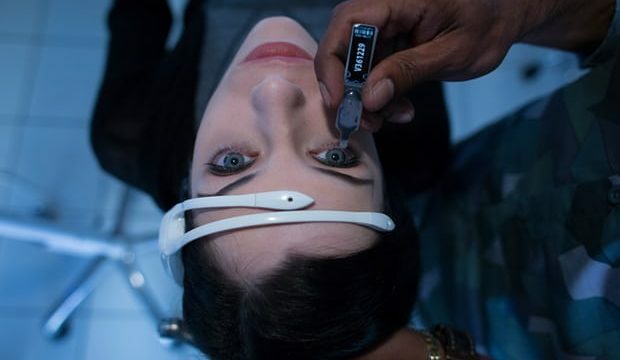 OtherLife is a think piece; a film which – in the best traditions of science fiction – takes non-existent technology and uses it as the MacGuffin to address a modern day social issue. In this case, it’s the notion of virtual reality, perhaps in as much the possibility of escaping the drudgery of the norm to find one’s self in a happier, more enjoyable place. In the film, shot and set in Perth, a liquefied series of code is dropped into one’s eye, wherein the recipient can then experience specific, yet synthetic memories. The technology is sold as being artificially generated memories, primarily of the ski vacation variety (something one cannot readily do within the city limits of Perth). Of course the technology is then seen as something that can be used for different, and ultimately nefarious reasons. In the film, shot and set in Perth, a liquefied series of code is dropped into one’s eye, wherein the recipient can then experience specific, yet synthetic memories. This is the second film by Mr Lucas, whose debut, Wasted on the Young, showed a unique visual style in its depiction of morally dubious teenagers inhabiting a supposedly adult-free universe. In OtherLife, he takes some narrative, thematic and stylistic cues from projects as disparate as Pi, Inception and Oldboy (of all things), and delivers a film which makes the absolute most of its small budget to deliver a serious, contemplative examination of drugs, virtual reality, family, loss, trust – the list goes on. It’s thematically rich. Adapted from the book Solitaire by Kelley Eskridge, OtherLife is enriched by Helen O’Loan’s production design, taking small budget science fiction a long way from the symphony of tin foil wallpaper of early Dr Who episodes. All contributions are first rate, from the crisp sound design to a minimalist score, and some very sharp lensing. Jessica De Gouw has a strong screen presence, and inhabits our heroine Ren with an effective blend of smarts and vulnerability. TJ Power is the right combination of the smarmy corporate huckster and duplicitous villain. It is – as was the case with Son of a Gun – refreshing to see Perth depicted on screen; a city underused in Australian film. Its frequently empty CBD streets after dark lend themselves in this piece to some very moody and atmospheric noir set pieces. A streaming service provides subscribers with a wealth of riches – and OtherLife is among the more substantial offerings well worth your time. On Netflix now.